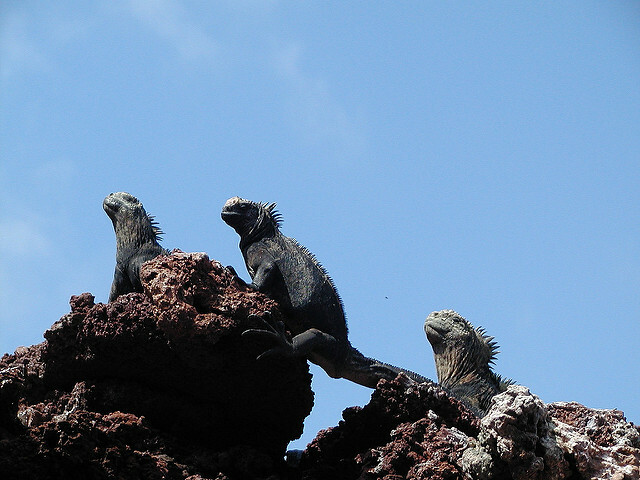 The Galapagos National Park is made up of 13 main islands and dozens of isles or smaller size islands. Galapagos is characterized by its white sand beaches, catus forests, land and sea iguanas; giant tortoise reserves, more than 400 species of fish and colorful birds including the blue-footed and red-footed boobies, masked boobies; flamingos, penguins, finches, frigate birds, albatrosses, cormorants and pelicans. With reason, Charles Darwin declared: "The Galapagos are unique". The Archipelago is a living laboratory of animal species found nowhere else on the planet. The Archipelago and the Galápagos Marine Reserve have been declared Natural Heritage of Mankind, then later has also been declared as one of the seven most important places in the globe for surface and deep diving.